This year’s show was a lot of fun! WESTLAKE VILLAGE, CA: This year’s annual event was a successful weekend for both seasoned and first-time eggers, as well as for our wonderful suppliers that keep the art flowing. A big “thank you” to all that participated! Be sure to check out other great shows on our Egg Shows and Past Shows pages. If you are wondering what you missed, click here for show details and classes offered. The work below used fifteen natural eggs on the way to winning the Best of Show award in 2009 at the California Egg Artistry Show and Sale. 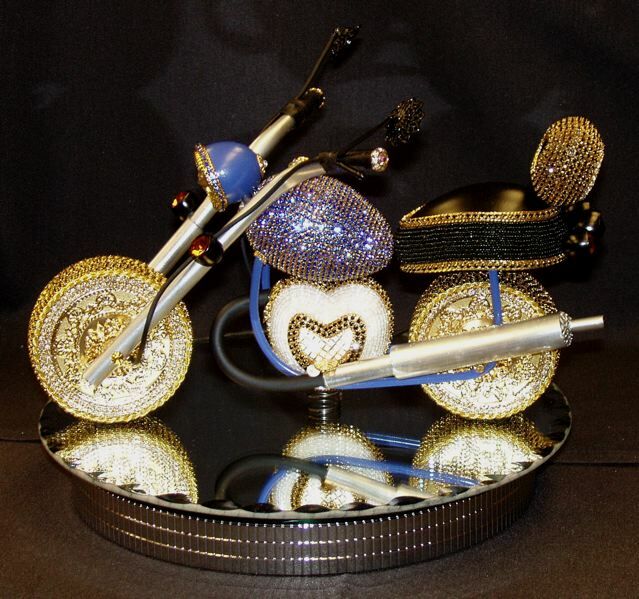 “Motorcycle” – Designed and created by Harumi Baloy, of Chula Vista, CA.